Dryer fires are much more common than you would think. When your vent is not clean, your dryer runs a lot hotter and increases the chances that something catches on fire. Leaving your dryer vent full, is not only hazardous to the safety of your home, it can drastically increase your energy bill. Your dryer vent should be cleaned at least once a year depending on how often you use your dryers. 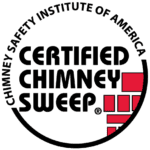 Patriot Chimney can provide a trusted professional grade dryer vent cleaning service.